The A49 runs north-west from Ross (more precisely from Wilton) to Hereford and along the way there are several mile markers remaining. 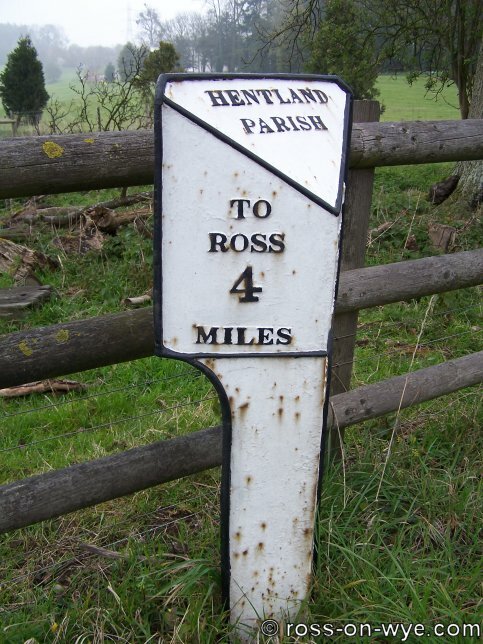 The Ross Turnpike Trust controlled the road from Ross to Harewood End. 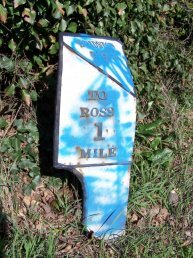 The trust was responsible for the upkeep of the road and was responsible for the mile markers along that stretch of the road and so the markers are all of a similar design and are nearly always on the right hand side of the road when coming from Ross. 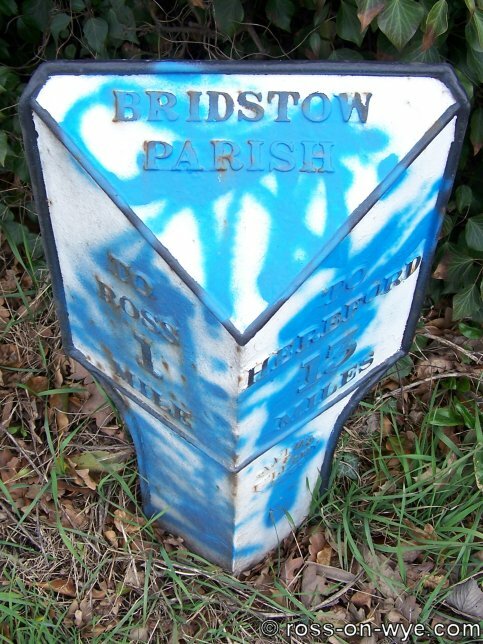 This marker on the side of the A49 at Bridstow, which has unfortunately been defaced. 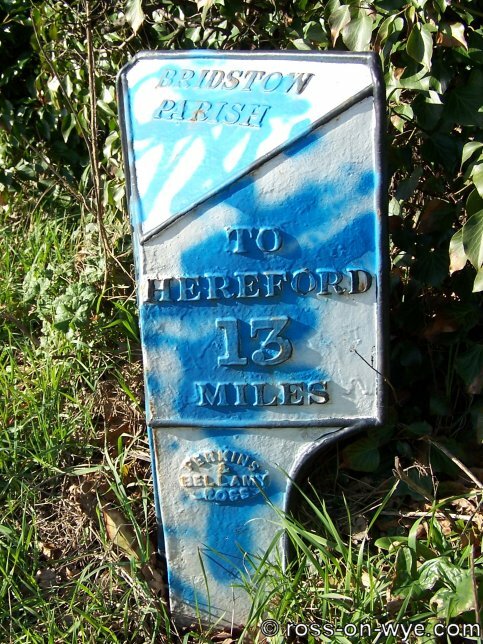 It shows that it is in the Parish of Bridstow and 13 miles to Hereford and 1 mile to Ross. 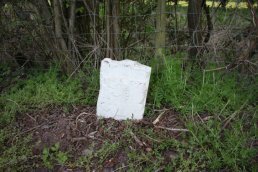 This marker on the side of the A49 at the Red Lion, Winters Cross, is unfortunately buried in the verge. 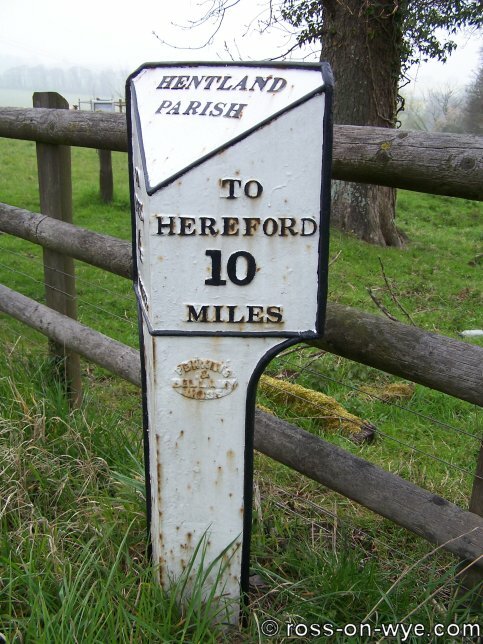 It shows that it is in the Parish of Peterstow and 11 miles to Hereford and 3 miles to Ross. 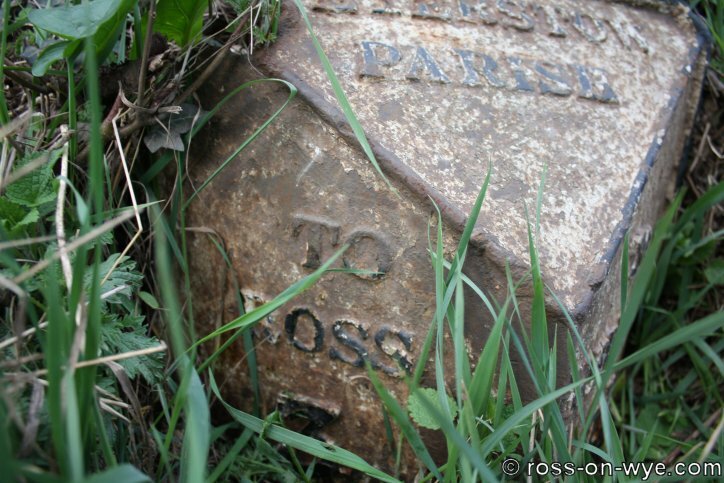 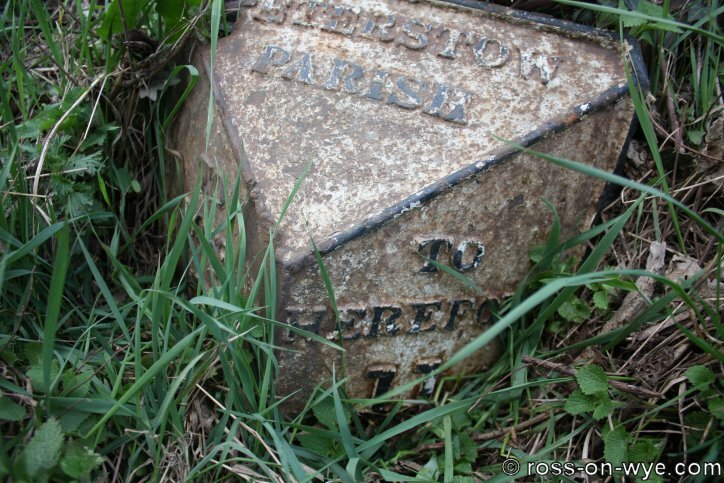 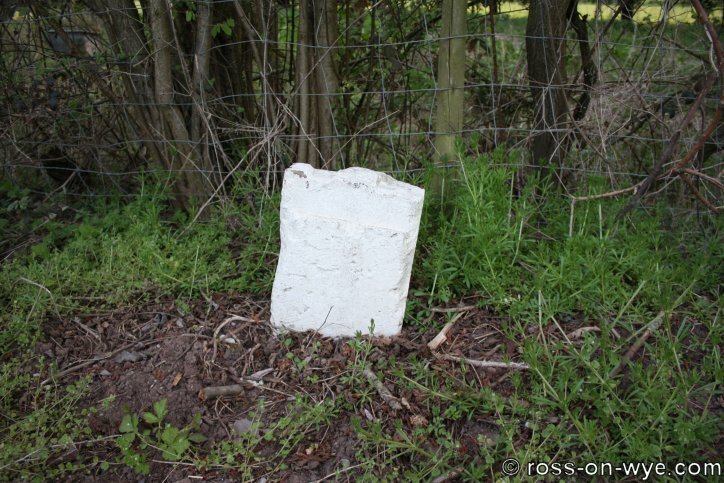 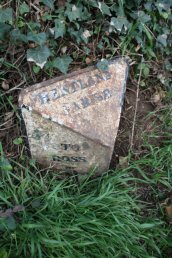 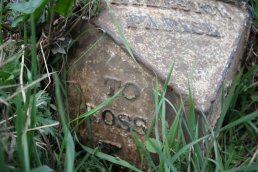 The other Peterstow mile marker which showed 2 miles to Ross, just on the Ross side of Peterstow, has so far not been found but it was there within living memory. 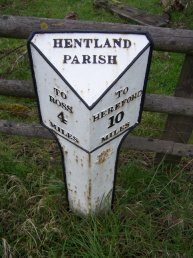 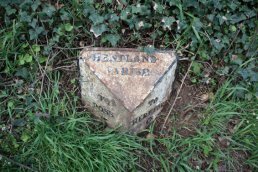 This marker on the side of the A49 at Pengethley shows that it is in the Parish of Hentland and 10 miles to Hereford and 4 miles to Ross. 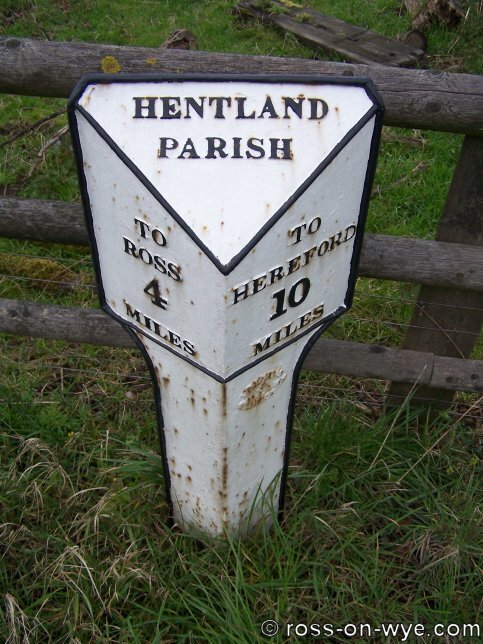 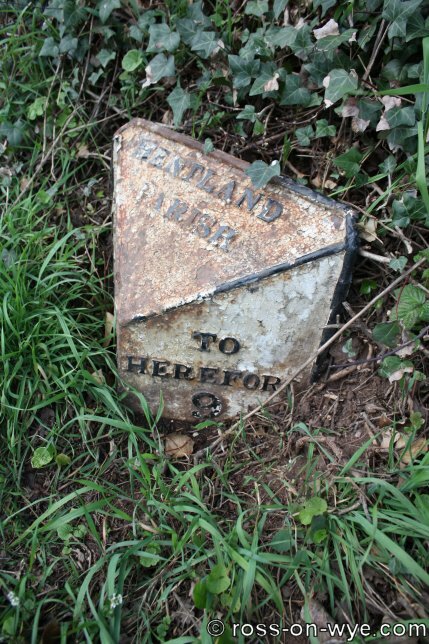 This marker on the side of the A49 at Harewood End shows that it is in the Parish of Hentland and 9 miles to Hereford and 5 miles to Ross. 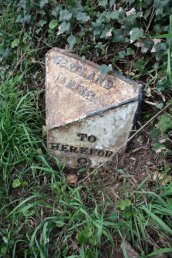 The Hereford Trust was responsible for the road from Hereford to Harewood End at which point the Ross Trust took over responsibility for the road. This marker on the side of the A49 at Potway would have shown that it is 6 Miles to Hereford. 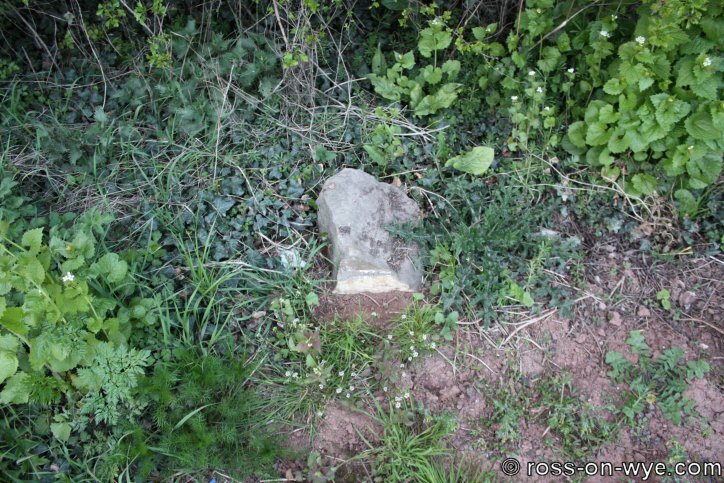 This is the bottom of a stone pillar and would have had a plate attached showing the distance but it is broken off where the plate would have been (possibly when the plate was removed). This marker on the side of the A49 at Potway would have shown that it is 3 Miles to Hereford. 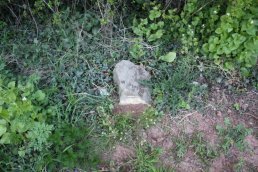 This is the bottom of a stone pillar and would have had a plate attached showing the distance but it is broken off close to the ground. 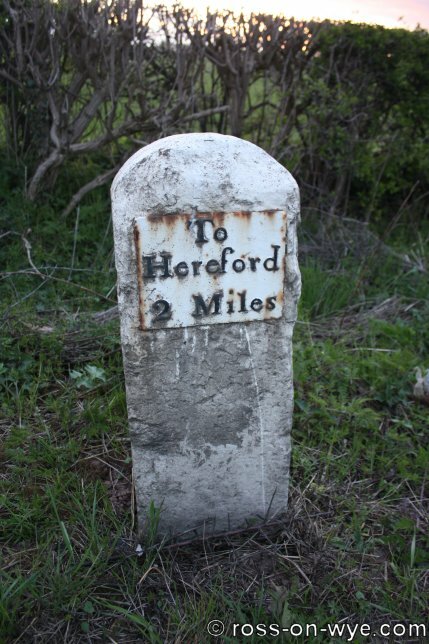 This marker on the side of the A49 at Bullinghope shows that it is 2 Miles to Hereford. 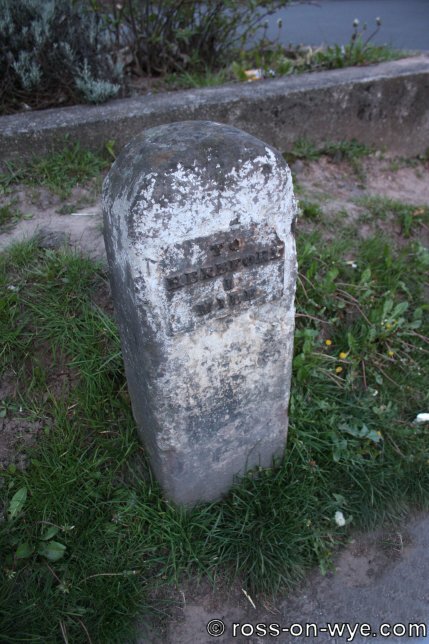 This is a stone pillar with a plate attached showing the distance. 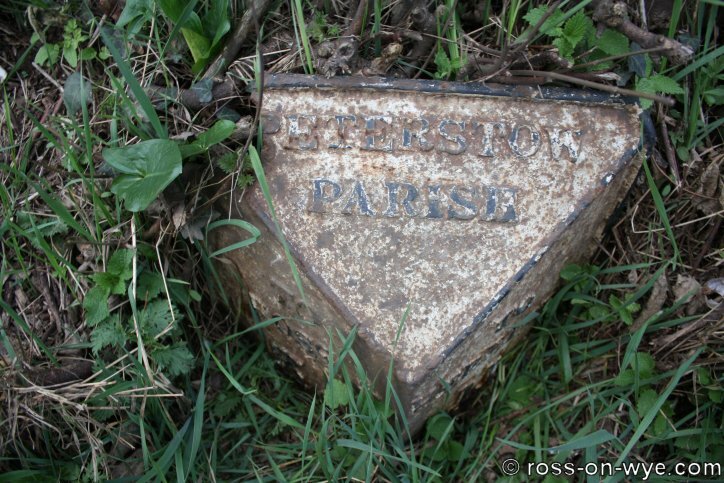 This is possibly a replacement plate. This marker on the side of the A49 at Hereford shows that it is 1 Mile to Hereford. 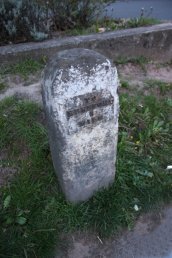 This is a stone pillar with a plate attached showing the distance. This is believed to be the original plate. 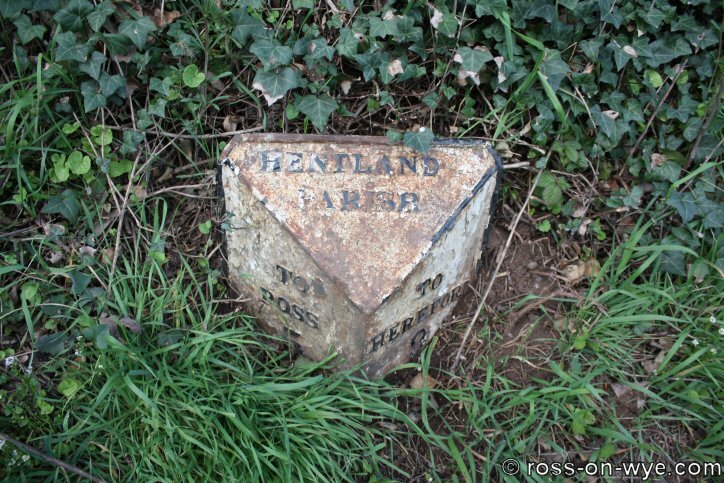 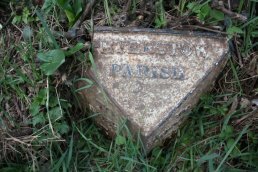 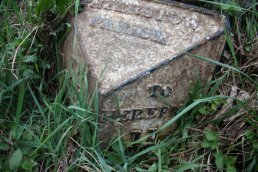 These markers are shown as being present on 1" OS-maps but now seems to have vanished.